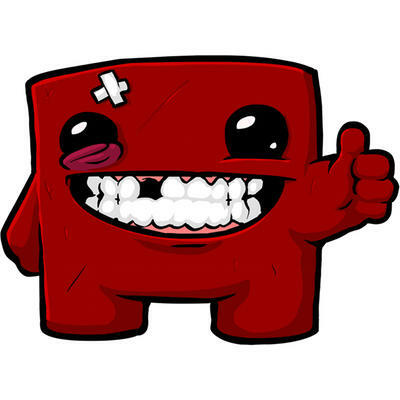 Super Meat Boy is an addictive, punishing, rewarding, fluid, fast and old school experience that simply must be had if you consider yourself a gamer. How's that for a heavy helping of praise? Good news, then, as Super Meat Boy is part of the Xbox LIVE Arcade's current holiday sale. It's probably the best deal in the batch at 400 Microsoft Points down from 1200, but there is a whole slew of savings to be had should you be interested. You'll be able to snag themes, avatar content, full Xbox 360 games, arcade games and add-on DLC for discounts both large and small. Content is spread all across multiple titles like Homefront, Bejeweled and Assassin's Creed. The news comes from Major Nelson, and he has posted a full rundown of the discounts being offered on his official site. If you boot up your Xbox 360 right now and you're connected to the Internet, you'll be able to dive directly into a pot of savings provided by Microsoft. They're calling it their "Fan Appreciation Sale," but the Xbox 360 dashboard advertises it below holiday savings. All you need to know is that there's money to be saved. If there's one thing I don't like about the age of digital distribution, it's the way pricing works. Gamers simply can't get an Xbox LIVE game in a method that doesn't involve working with the Xbox LIVE marketplace. That means that we're all subject to their price points, regardless of the quality of their products. The only way you can really save big on their digital goods is by waiting for sales like this one. So, with that in mind, take a look at the virtual wares and consider making a purchase. With games like these on a platform like the XBLA, it's sort of now or never.